It's Monday again folks and a new week lies ahead of us. Hopefully we will see lots of new campaigns and offers at the online casinos this week. 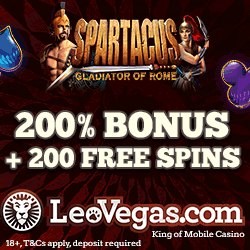 One casino that starts the week with tempting free spins is Thrills. 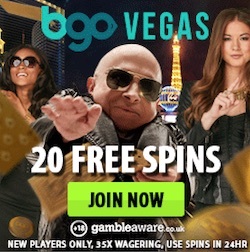 This Monday you can get 25 free spins at this popular casino. And those of you that already are familiar with Thrills knows that all free rounds that are paid out in the casino comes without wagering requirements. This makes the spins more valuable since any winnings immediately counts as real cash. So anything you win on today's spins you can withdrawal. For more loyal costumers there is another offer to get where you can claim so called Super Spins on a selected slot from Netentertainment. Today's offer at Thrills is segmented and only open for active costumers. Since the offer is segmented all players will not get the same deal. But the standard deal for today is 25 free spins with no wagering requirements when you follow today's instructions. 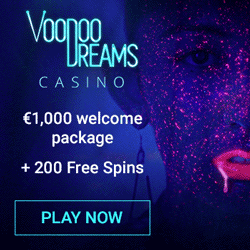 To get your 25 free rounds you just have to deposit at least €25 to Thrills and than wager the amount in the casino at least one time during the day. If you do this you will get your earned free rounds tomorrow by 1 pm. Your spins can be used on several slots from Netentertainment. You can choose to use your free rounds on either Dracula, Wild Rockets, Jack and the Beanstalk or Flowers. For those of you who likes to play for higher amounts there is an extra valuable offer to get. Today you can get Super Spins with really high value if you deposit and wager €300 or more during the day. Your Super Spins will be credited to your account the following day and are valid on Blood Suckers. 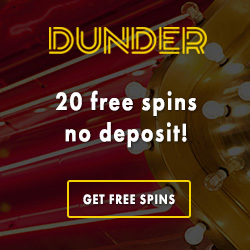 If you are new to our site or haven't heard about Thrills before you might not now that Thrills offer all our visitors free spins with no deposit required. To get these exclusive welcome spins you only have to sign up at Thrills through our bonus links. As soon as you have created your account 10 free rounds will be available for you in the casino. 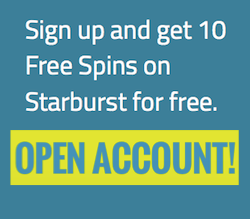 You can use these spins on Starburst without having to depositing anything yourself. If you start depositing money to Thrills you can get up to 100 extra free rounds on the same slot! Claim today's offer at Thrills!